but can’t find just the right invitations. That’s ok because today on the Tragic Whale, we’re going to learn how to make our own! First, you’ll need some paper. 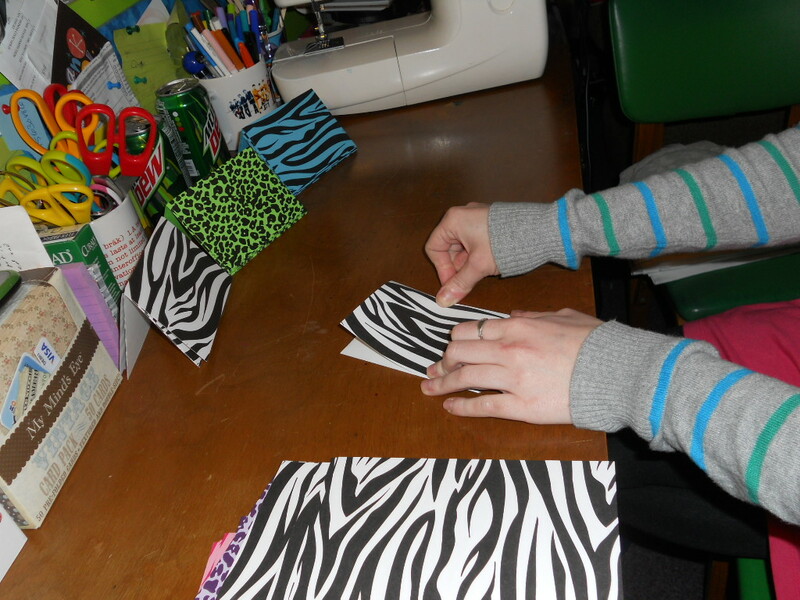 I used a 25-sheet assortment of crazy animal print card stock that I found at Michael’s. 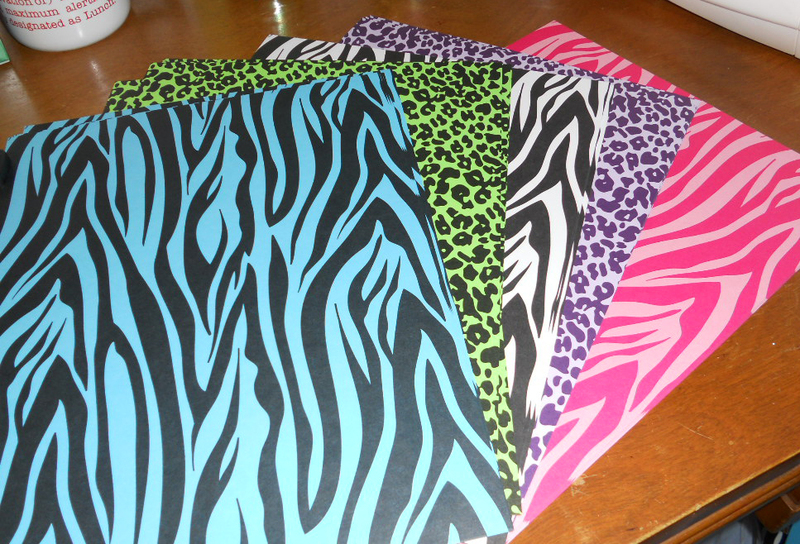 I like card stock because it’s durable, aka less likely to get creased just by touching it and won’t wrinkle up when you put glue on it (unless you use too much glue, so don’t do that). 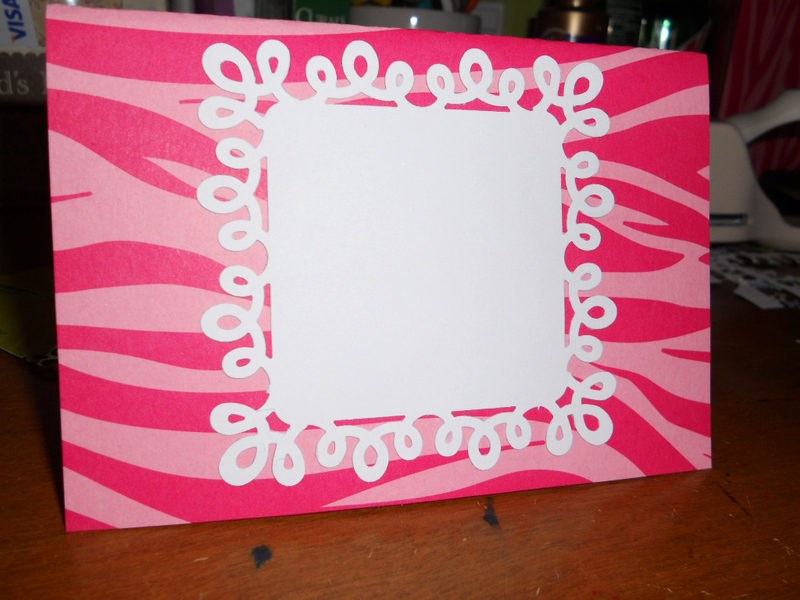 Next, cut out some rectangles. 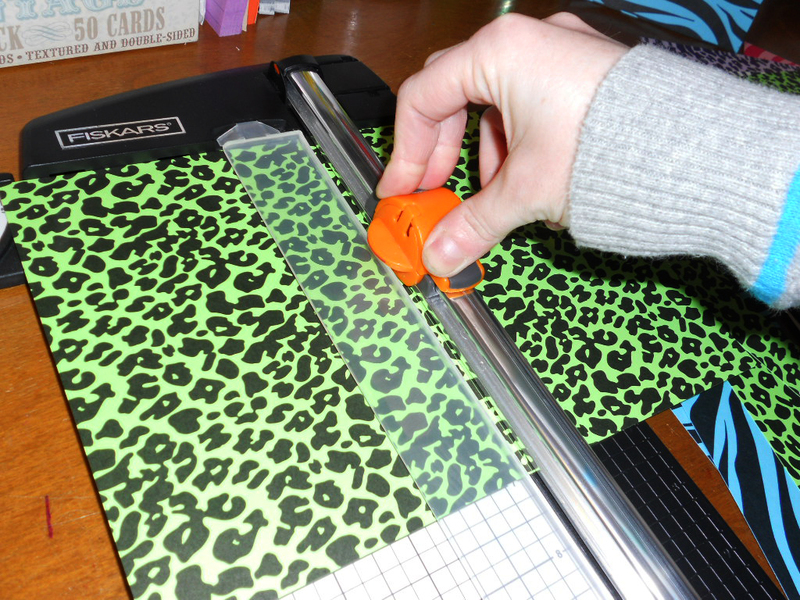 I always vote paper cutter because I can’t cut in a straight line. 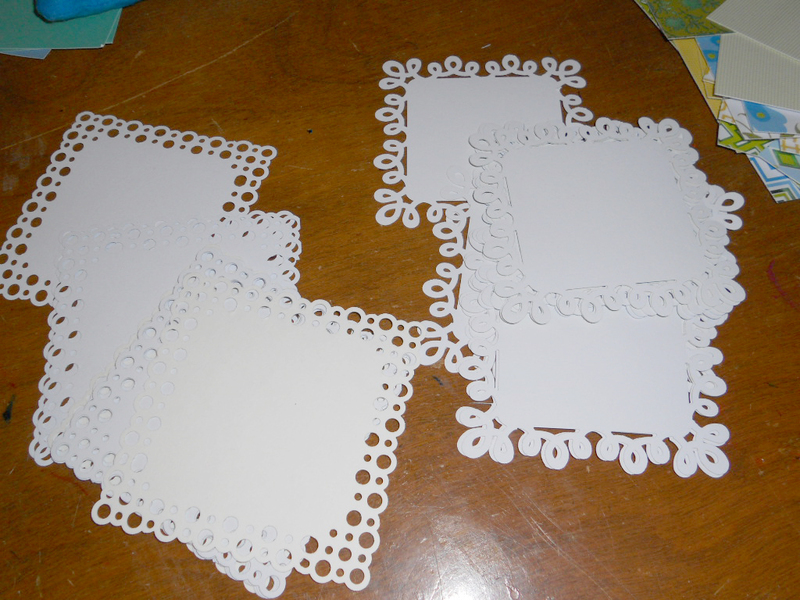 I made these cards 5×7 inches, that way I could get two cards per sheet with minimal waste. Now, fold your cards! You end up with a little 3.5 x 5 inch basic paper card. Boring. Enter weird paper cutter things and paper scraps. I love paper, and I save all my scraps! I don’t know why. Every so often I have to go through the scrap drawer and just toss the ones that are too small to do anything with. Which is always most of them. Anyway, take some of those scraps and doll them up with the paper punch things (if you have them). And finish with something you like, or something party themed. 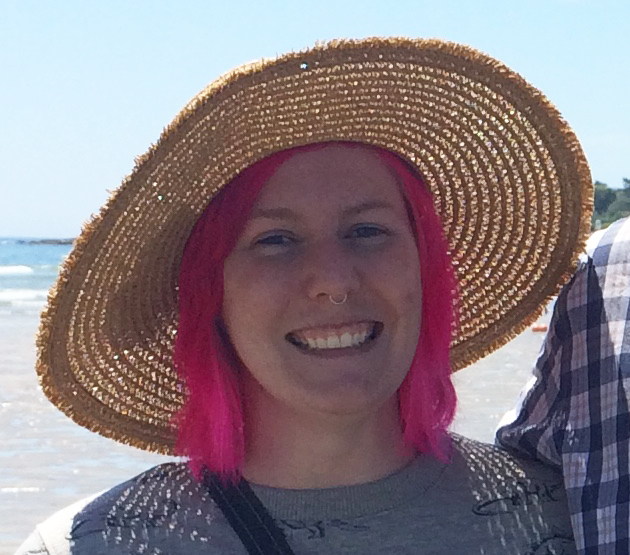 I chose a whale in a party hat (obviosuly) but you could put a star fish for a beach party, someone’s initial, an apple (apples to apples party), a cupcake, a dog. Anything! And we’re done! 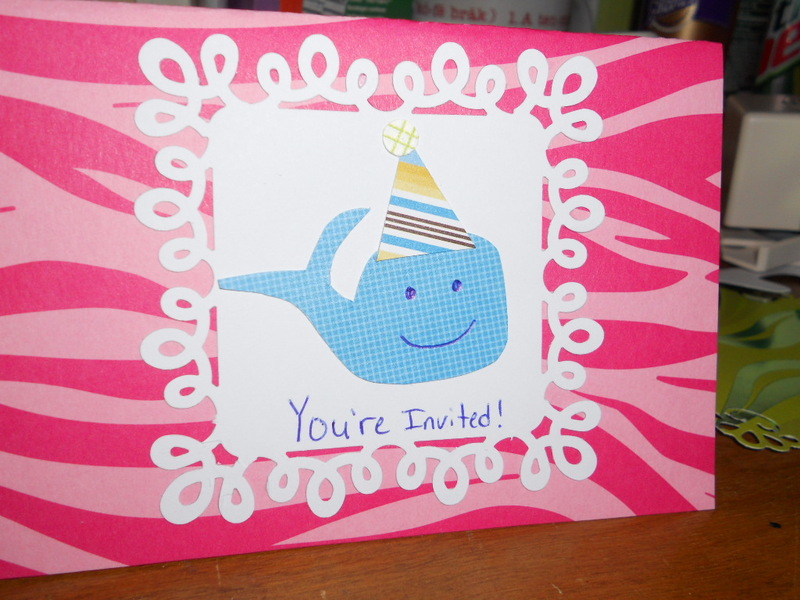 We have our own unique party invitations! You have some really cool paper cutters there. I don’t have those but I have scissors that make cool patterns on the edges. I have scissors too and use them for all sorts of things! 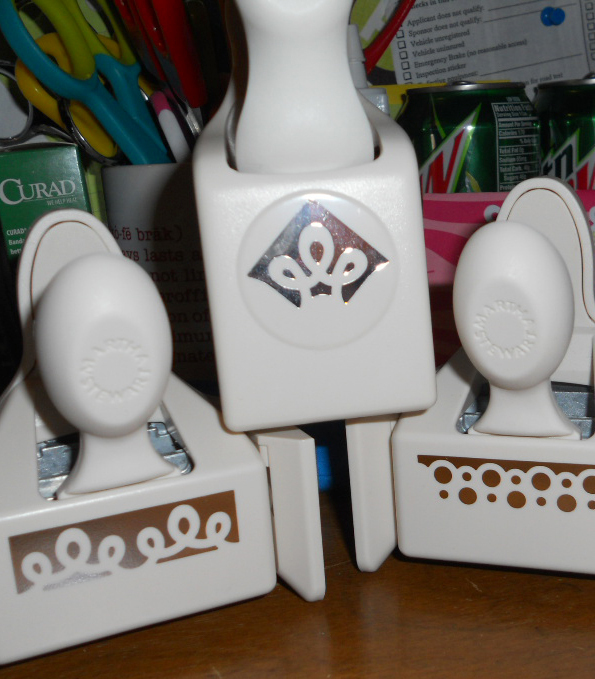 I really only have the paper cutters because they were crazy on sale, and how do you say no to crazy on sale? You don’t say no. You say “yes” enthusiastically and then you pay for them and run before the shop owners have a chance to change their minds.